"Coming of Age in Utopia"
The life and work of former Southern Regional Council President Paul Gaston have earned him a reputation as one of the most respected southern historians in the country, and his new memoir, Coming of Age in Utopia: The Odyssey of an Idea, chronicles his life as an agent of change from the shores of Mobile Bay, Alabama to the streets and classrooms of Charlottesville and the University of Virginia. "In this exquisitely wrought memoir of a committed life, historian and civil rights activist Paul Gaston reveals his deep roots in the unique Alabama town founded in 1894 by his grandfather and later led by his father. The Fairhope colony was the creation of Ernest B. Gaston, an Iowa journalist, Populist, and communitarian reformer. Fairhope grew into a unique political, economic, and educational experiment and a center of radical economic and educational ideals and institutions. It was home to vibrant idealism and creative arts, and a haven for reformers, writers, and other visitors. As time passed, however, Fairhope, once a community where people came to solve social problems, became a resort where they came to escape them. 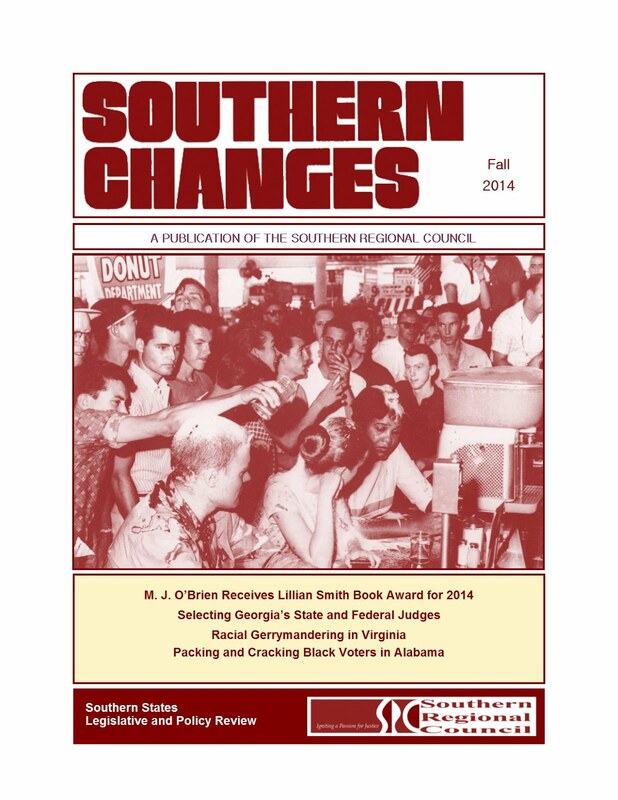 By the early 1950s it was clear that great changes were coming to the South, and the author began to look outward for ways to take part in the coming struggle—the civil rights movement." 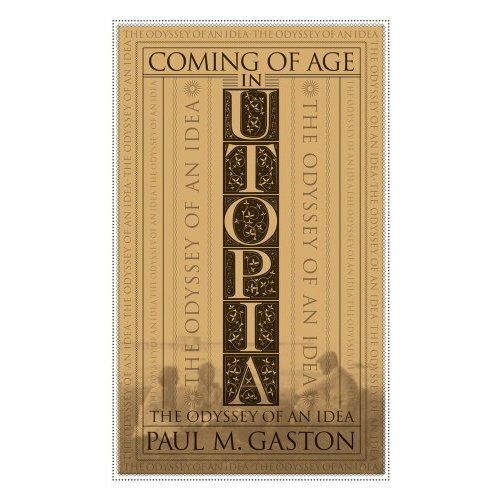 "Gaston's career at the University of Virginia, where he taught from 1957-1997, forms the core of Coming of Age in Utopia. For a young man looking to enter the struggle against racial injustice, Virginia offered the white supremacy myths, values, and institutions of the Deep South but less of its violence and retribution. 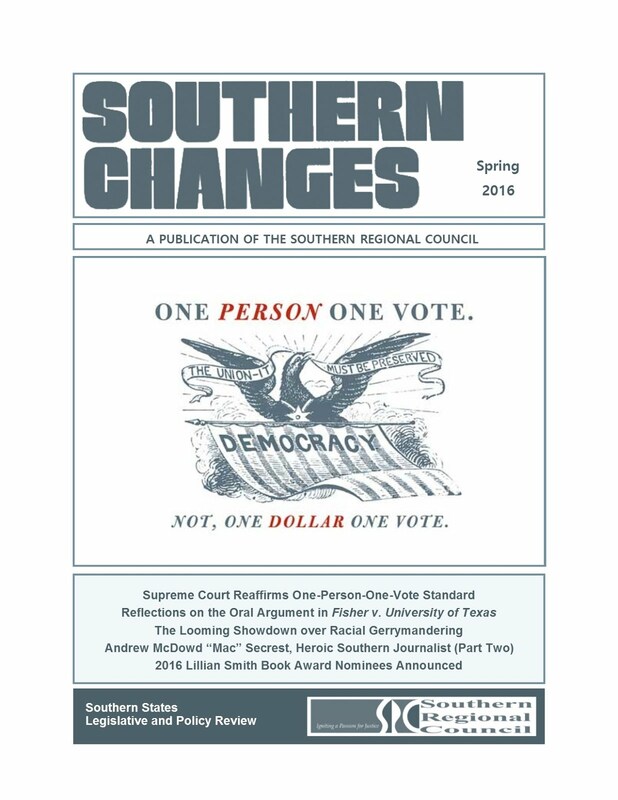 Beyond Virginia, his long years as an officer in the Southern Regional Council and his several visits to South Africa provided widening vistas for understanding how social change comes about and is thwarted." "A master storyteller with a compelling personal life and unique involvement in these events, Gaston weaves accounts of struggles for social justice into a forceful narrative enriched with provocative interpretation. " Paul Gaston, Professor Emeritus of History at the University of Virginia, was born and reared in Fairhope, Alabama, about which he has written two books. He is also the author of The New South Creed, winner of the Lillian Smith Award for distinguished writing about the South. He served for twenty-five years on the executive committee of the Southern Regional Council and has been a frequent visitor in South Africa, both before and after the fall of apartheid. He has received numerous awards and honors for both his professional work and civil rights leadership, including the outstanding professor award from the Commonwealth of Virginia; bridge builder recognition from the city of Charlottesville; legendary civil rights activist from the NAACP; and community leader, from his alma mater, Swarthmore College. He lives in Charlottesville, Virginia, with his wife of fifty-seven years, Mary Wilkinson Gaston. Charlottesville's Assistant City Manager Maurice Jones recently interviewed Professor Gaston for Dialogue On Race, a new city initiative designed to improve race relations. The interview touched on Gaston's life as a southern historian, his work as a civil rights activist, and the progressive change he’s witnessed over the past forty years in Charlottesville and at the University of Virginia. To view a video including the entire interview and two others in this series, click here. "This deeply moving memoir and absorbing social history takes Paul Gaston from an upbringing in a model utopian community in Alabama to a forty-year career as a model scholar-activist for several generations of students at the University of Virginia, marked throughout by his radical commitment to racial and economic equality and his lifelong hope in the possibility of a more humane South." "Paul Gaston has given us two great gifts: a life well lived and a story powerfully told. 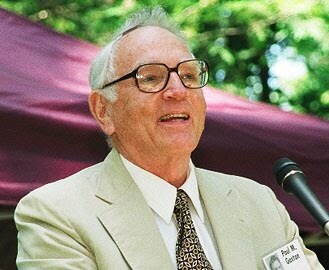 Gaston has been a witness to, and a maker of, profound and humane Southern change. An enduring love of the South shines through in every act and in every sentence." 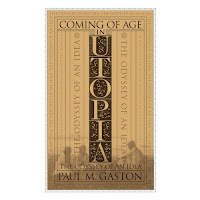 "From a utopia to a university, from growing up to growing wise, from an idea to an ideal—Paul Gaston's compelling memoir of promoting racial justice in the South." Our first case study looks at the efforts of two ministers, Rev. Atanacio (Tony) Gaona and Rev. 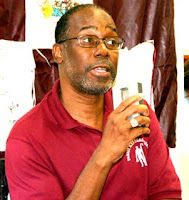 Harvey Williams, to encourage mutual understanding, communication, trust, and assistance between Latinos and African Americans in their community. 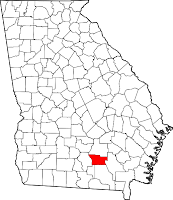 The community in question is Atkinson County, a small county (containing less than 9,000 people) in south Georgia, and more specifically, the town of Willacoochee. In some respects it is more “old South” than “new South,” as its economy remains heavily agricultural, with some light manufacturing, and it lacks the large malls, sprawling subdivisions, convention centers, hotels, and post-modern office towers containing business, financial, and professional services typical of many rapidly growing Sunbelt metropolitan areas. Most Latinos in Atkinson County are Mexicans. The Latino population has resided here, and in several nearby counties, since the early 1980s, drawn mainly by the available jobs on farms – planting, tending, and harvesting crops. In 2007, Latinos comprised 22.9% of the county population and African Americans 18.5% (58.3% are non-Hispanic Whites). Although some Latinos work in factories and a few have opened stores, many still hold agricultural jobs and live on or near the farms (often in dilapidated shacks or trailers provided by their employers). This means that competition between Latinos and Blacks for jobs and housing is not as severe as in some other places, but also there is a wide cultural and social gulch between Blacks and Latinos. Where they meet, perhaps more than any other place, is in the public schools. The work that Rev. Williams and Rev. 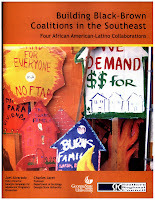 Gaona have done in alleviating tensions and bringing “Blacks and Browns” together is impressive, and has been featured in a New York Times article and a report on Latino-Black coalition building in the South (Swarns 2006; Wooten 2008). Below we summarize what we learned about their activities based on a three-hour focus group discussion (held in February 2009 in Willacoochee) with Revs. Williams, Gaona, and six other people involved in this effort. Unlike many coalitions that begin with the rise of a pressing problem or a recognition of commonality, the relationship formed by Rev. Atanacio Gaona and Rev. Harvey Williams started in the early 1990s with a simple request for a ride home from work. 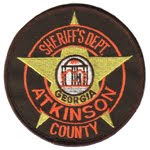 This one mundane occurrence led to nights of dialogue, mutual understanding, and identification of common challenges within Atkinson County. Both Pastors were beginning their ministry and believed it important to incorporate the notion of improving African American/Latino relations as a testament to their faith. Their work and friendship resonated not only with congregants, but also with other faith leaders and residents. Based on our discussion, many view Rev. Gaona and Rev. Williams as role models and leaders whose actions – such as celebrating church service together every fifth Sunday – compel individuals to reassess how they relate to others. This coalition is unique because it mainly revolves around the two ministers. There is no formal organization or ad-hoc structure, but rather an expanding circle of congregants and friends who have been inspired by these two men. Ministers Williams and Gaona have developed a commitment to help one another, and work within their respective communities towards becoming more accepting and cultivating the idea of brotherhood. Trust, acknowledging the humanity in others, and the desire to build a more tolerant community were all common themes articulated by focus group participants as to why Atkinson County residents sought to improve Black/Brown relationships. Each principle derived from their faith and a basic concern for the wellbeing of others. On multiple occasions, trust was considered paramount for coalition formation and sustainability. People in both communities (African American and Latino) expressed a concern for engaging other people whose language, culture, history and societal norms are dissimilar. Many noted that language was a barrier to building a relationship. As a result, Rev. Williams opined that “I have a right to learn Spanish,” as opposed to Latinos solely learning English. Acknowledging the humanity in others was another key factor leading focus group members towards coalition building. This was particularly important because the group included a law enforcement official, a school board member, and a retired teacher (all three were African American). Each purposely strove to establish trust and acknowledge the humanity in others within his or her profession. The law enforcement official, who serves in a leadership capacity, echoed this point by recounting an experience in which he admonished subordinates who targeted Latino drivers. African Americans and Latinos desire to build a better community for themselves and their families. All participants viewed the existence of Latinos in Atkinson County as permanent, thus increasing the need to identify common ground and support one another. The first m ajor issue identified in the discussion was racial profiling and the overall treatment of Latinos by Atkinson County and Willacoochee law enforcement officials. Focus group participants thought that the police and sheriff departments were purposely constructing roadblocks to target Latino drivers in the belief that they would be driving without valid drivers’ licenses. Fines for these infractions were as high as $1300, a month’s salary for the average Latino worker. Some within the focus group went so far as to surmise that Latino drivers were targeted for the purpose of providing an enhanced revenue stream for local government. Another issue identified in the discussion was the treatment Latinos received from landowners who hired them to plant and harvest crops. African American participants observed that Latinos lived in “slum areas” with homes and trailers in dilapidated condition. The law enforcement official thought farmers “only cared about crops” and not about the laborers. 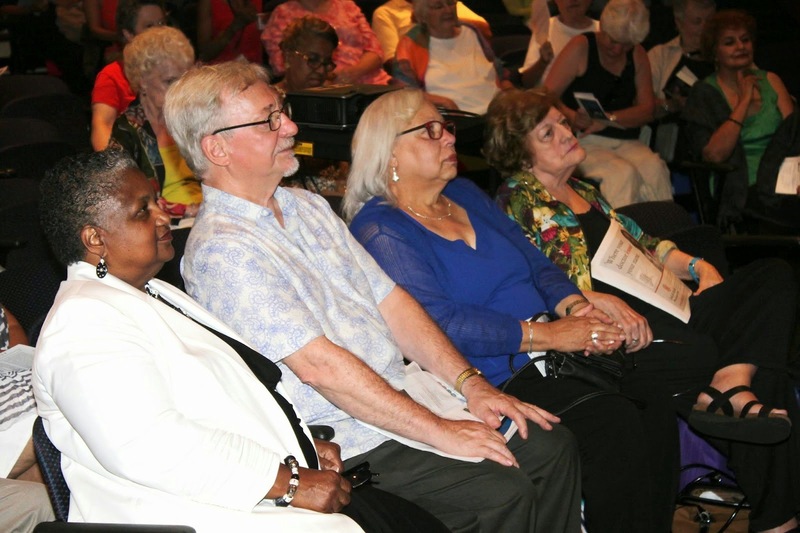 The African American participants also noted similarities between the current treatment of Latinos and the historic treatment of African Americans. This conscious recognition of similar struggles serves as a strong motivator for African Americans to support Latino interests. The focus group disc ussion revealed several areas in which the group is succeeding. The first was that they sensed an improvement in the degree of mutual respect that the Latinos and African Americans were showing towards each other. For example, the high school students said that Latino students are being treated all right and noted that last year the valedictorian was Latino. Adults also indicate that mutual respect is increasing as groups grow in their mutual understanding. Certainly the best example of this was the better understanding Rev. Williams gained about Mexicans when he accompanied Rev. Gaona on a trip to his home town in Mexico. He said that he never really understood the Mexicans in Willacoochee until he saw Pastor Tony’s village and what it was like to be “in their shoes.” Others in the focus group (a teacher, police officer, social service agency director, farm worker) mentioned that after getting to know the Latinos or Blacks better they had greater respect for them. Some progress is also being made in group members’ ability to communicate and engage in dialog with each other. Rev. Williams is learning Spanish, and Rev. Gaona has recently started an English class in his church. Several people in the focus group recommended that Spanish be taught to English-speakers starting as early as kindergarten. Although the school system has not implemented this recommendation, it nevertheless indicates a desire on the part of local residents for better communication among the respective communities. The circle which has formed around these two ministers has also succeeded in gradually garnering support and cooperation from other individuals or groups in the community. Revs. Williams and Gaona have broadened the dialog and now meet every week with several White pastors to talk about issues of concern, and they mentioned that Rev. Morrison (a White minister) has “become a strong supporter of Hispanic rights . . . legal or illegal.” In addition, their “5th Sunday” program brings their respective congregations together for worship, discussion, and socializing. Beyond that, the efforts of the two ministers have also received cooperation and support from a county social service agency, a local food bank, a local business (Harvey’s), and from at least one member of the county sheriff’s office. As for progress on some of the key issues, there has been very little on the problem of inadequate housing for the Latino farm workers. A focus group member said that the farm owners only care about getting their crops planted and harvested and try to house the workers as cheaply as possible. The focus group did indicate that some steps have been taken on the matter of police arrests or fines for unlicensed Latinos driving to work or driving children to school. Specifically, they mentioned Rev. Gaona’s efforts to inform Mexicans about the need to get drivers’ licenses and how to do it, efforts by both Reverends to use vans driven by licensed drivers to pick up and transport Mexicans to and from work, the sheriff’s desire to hire a Latino officer, and the deputy sheriff’s efforts to discourage officers from exploiting the unlicensed Latino drivers they stop. The most serious challenge or limitation mentioned in the Atkinson County focus group is a lack of resources. What they need the most, they emphasize, is more time and more volunteers. Both Rev. Williams and Rev. Gaona are responsible for meeting their congregations’ needs and they have little staff and no pastoral assistant, so they often feel overwhelmed by the demands placed on their time and energy. Rev. Williams indicated that “Pastor Tony and I have to work closer” and that even though Pastor Tony is very busy, “there are a lot of things he needs to get involved in because he represents his people – he’s the spokesman for Hispanics in this area.” They feel that the community is ready for improved relations among Latinos, Blacks, and Whites, but they face a shortage of hours in the day to attend to it, a lack of funds to do things that are needed, and a scarcity of people able to effectively communicate in Spanish and English to engage and bring the groups together. Both leaders said that they had not faced much opposition to their efforts at Black-Brown cooperation. However, they indicated that this county is run by a relatively small set of families that own large amounts of land, and that creating change without their support is very hard. Rev. Williams also indicated that he sometimes hears negative comments by Blacks about Mexicans and acknowledged that after he and Rev. Gaona were featured in a New York Times article, someone circulated an email about Latino gangs in California using violence against Blacks – and he viewed this as an attempt to divide the Mexicans and Blacks in Atkinson County. Several points noted in our research about conditions conducive to developing inter-group cooperation and coalition-building pertain to Atkinson County’s situation. One, which enhances prospects for Black-Latino cooperation and fellowship here is that, according to those in the focus group, in this community the Mexicans and African Americans are not in severe competition over jobs or battling for political control, thus they do not see their situation as a zero-sum game (i.e., they don’t view gains for the other group as coming at the expense of their own group). Second, the emerging positive relations and cooperation among African Americans and Latinos in Atkinson County that this group is building are not based on a factor that stimulates coalition-building in many other situations: recognition that they face the same problems and can not overcome them by themselves. Although both groups in this county face several similar problems (e.g., high drop out rates from high school, limited access to health care, economic insecurity), focus group members did not cite these as the fundamental reasons why they have come together to promote and improve Black-Brown relations. Instead, several of the points made by Kaufmann (2003) about coalition-building seem applicable and true here. Kaufmann noted that even if people differ in economic status, language, age, or cultural background, they can form a coalition if they perceive that they share some other fundamental commonality, such as sharing a historical experience or being part of the same moral community, which allows them to empathize and identify with each other, and also to respect and trust each other. For example, an African American focus group member feels compelled to stand up for the Mexicans and try to bring Blacks and Latinos together because “they are getting treated like Black people used to get treated.” Rev. Williams adds that he “sees Pastor Tony not as a Mexican but as a man,” and that a central tenet of his faith is the equality of all people, despite their differences, and the need for acceptance and assistance for all. Further, Rev. Williams said that the boundaries that humans draw between countries are not boundaries that God recognizes, and that he feels a sympathy and responsibility for helping neighbors regardless of their race, nationality, or legal status. Several other focus group participants agreed, leading us to conclude that the underlying basis of this coalition springs more from religious and faith-based sentiments than economic, social, or political roots and motives. In terms of the “collaborative capacity” issues identified in our research, this group has remained rather small and is limited by a scarcity of resources and external support in their effort to promote change. Both Revs. Williams and Gaona have inspired a small circle of associates, who are well-informed about the issues and are committed to this cause, they recognize the need for more people to get involved and take on leadership roles. But where the resources needed for this will come from and what the most useful activities or programs for encouraging wider participation and social change should be are questions that hover over this group, waiting for good answers. SRC Video Reveals Nine Keys to Successful Collaboration. Through our research, informal discussions with individuals intimately involved with the issue of inter-ethnic collaboration, and four focus group sessions, we have gained greater clarity about effective coalition- building among African Americans and Latinos. Times are changing in the Southeast. Latinos have become an integral part of the Southeastern social, economic and political landscape. Their exponential growth within some states has led to tensions, but it has also brought forth new opportunities in the struggle for freedom, justice, and equality. During our Project Team's ten-month journey, we learned that coalition-building is a logical and pragmatic endeavor, especially when trying to stimulate public will to effectuate change. It is also an emotional process in which fears are confronted and sympathetic and empathetic actors are compelled into action. Although each person's motivation to coalesce with others may differ, the outcomes have become dynamic, enlightening, and empowering. Based on our research, we have identified nine elements that prove very helpful in establishing and sustaining an African American/Latino coalition. Of course, there is more to it than this, and we don’t think a “cook book” approach to coalition-building is viable. However, these elements seem to have been useful for successful coalitions, and so we offer them as practical advice and as a starting point in working together for a common cause. Click on the image below to view the full report. In 1919, an interracial group of progressive Southerners came together fight racial injustice under the banner of the Commission on Interracial Cooperation. 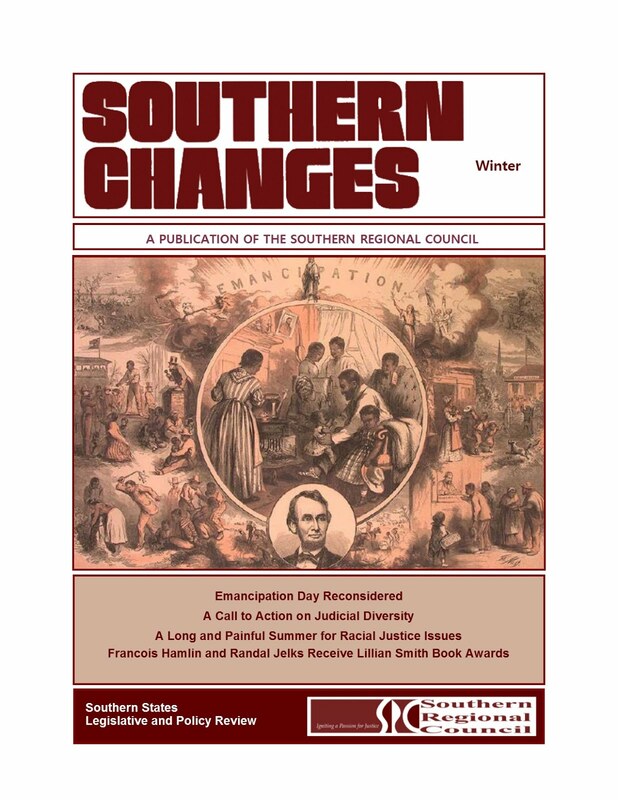 In 1944, the Commission adopted a strategy of pursuing change though research and action under the banner of the Southern Regional Council. 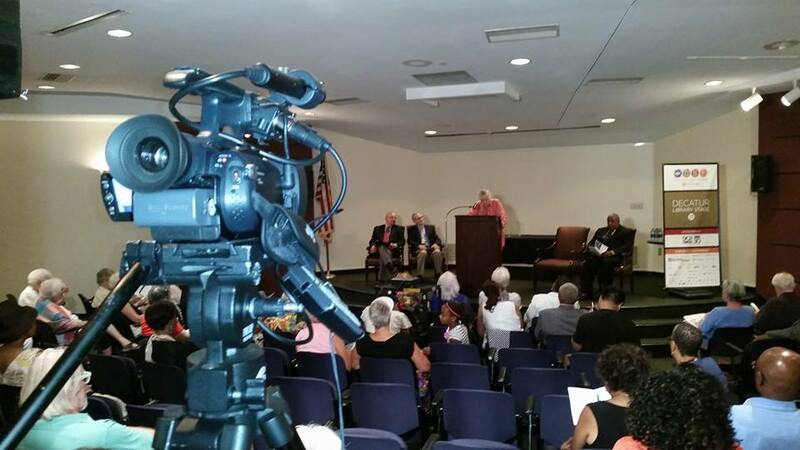 Eighty years after the establishment of the Commission on Interracial Cooperation, several of the Council's supporters came together for a Homecoming, local coverage of which is reflected in this video. U. S. Supreme Court Chief Justice Roger Taney’s infamous declaration in the 1857 Dred Scott decision that an African American had “no rights that the white man was bound to respect” is widely regarded as one of the causes of the American Civil War. However, few remember that Justice Taney’s language was largely borrowed from an earlier decision of the Georgia Supreme Court. Over 150 years later, this same Georgia Supreme Court decision inspired Ariela Gross to undertake an investigation into the role that the courts have played in the development of the American conception the idea of race. 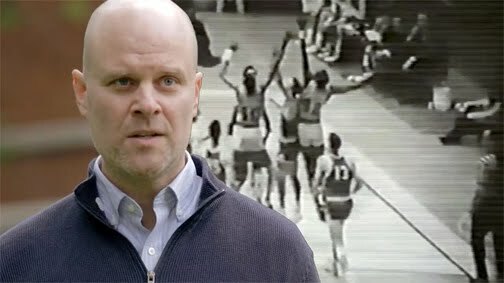 The result of this investigation is Professor Gross’s recent book, What Blood Won’t Tell: A History of Race on Trial in America. This important new work was recently recognized with a Lillian Smith Book Award for 2009. Dr. Gross and Professor Mary A. Twining discuss lessons from the book in this video which was taken at the 2009 Award Ceremony. "Is race something we know when we see it? In 1857, Alexina Morrison, a slave in Louisiana, ran away from her master and surrendered herself to the parish jail for protection. Blue-eyed and blond, Morrison successfully convinced white society that she was one of them. When she sued for her freedom, witnesses assured the jury that she was white, and that they would have known if she had a drop of African blood. Morrison’s court trial—and many others over the last 150 years—involved high stakes: freedom, property, and civil rights. And they all turned on the question of racial identity. "Over the past two centuries, individuals and groups (among them Mexican Americans, Indians, Asian immigrants, and Melungeons) have fought to establish their whiteness in order to lay claim to full citizenship in local courtrooms, administrative and legislative hearings, and the U.S. Supreme Court. Like Morrison’s case, these trials have often turned less on legal definitions of race as percentages of blood or ancestry than on the way people presented themselves to society and demonstrated their moral and civic character. "Unearthing the legal history of racial identity, Ariela Gross’s book examines the paradoxical and often circular relationship of race and the perceived capacity for citizenship in American society. This book reminds us that the imaginary connection between racial identity and fitness for citizenship remains potent today and continues to impede racial justice and equality." A few choice words from Rosa Parks inspired the son of a Klansman to pursue a life in the Freedom Struggle. In the course of accepting the Lillian Smith Book Award for 2009, Bob Zellner announced that his long-awaited memoir of a white Southerner in the Civil Rights Movement will soon become a major motion picture produced by Spike Lee. The video below captures the challenge that Toby Graham issued to all of us in presenting the award, as well as Zellner's commentary on the persistence of racism in today's world. "Even forty years after the movement, the transition from son and grandson of Klansmen to field secretary of SNCC seems quite a journey. In the early 1960s, when Bob Zellner’s professors and classmates at a small church school in Alabama thought he was crazy for even wanting to do research on civil rights, it was nothing short of remarkable. "Now, in his long-awaited memoir, Zellner tells how one white Alabamian joined ranks with the black students who were sitting-in, marching, fighting, and sometimes dying to challenge the Southern “way of life” he had been raised on but rejected. "Decades later, he is still protesting on behalf of social change and equal rights. 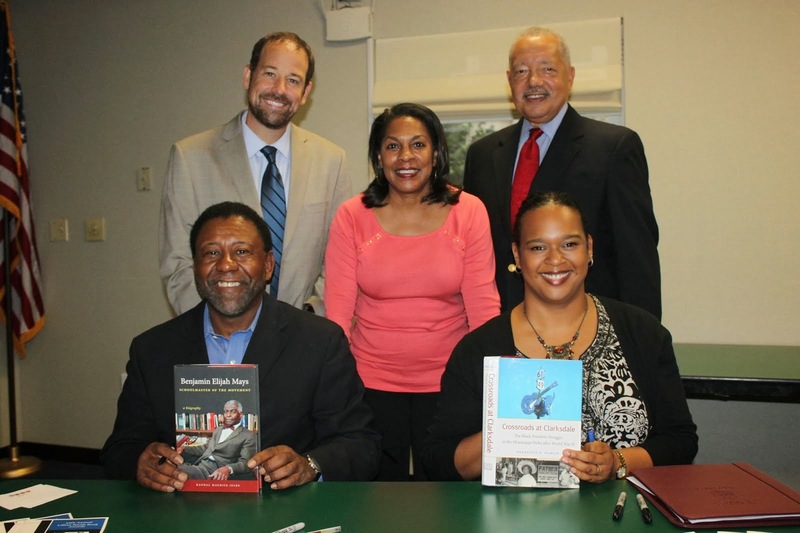 Fortunately, he took the time, with co-author Constance Curry, to write down his memories and reflections. He was in all the campaigns andwas close to all the major figures. He was beaten, arrested, and reviled by some but admired and revered by others. "The Wrong Side of Murder Creek is Bob Zellner’s larger-than-life story, and it was worth waiting for. Zellner now lives and teaches in New York state. Atlanta-based co-author Curry is also a civil rights veteran and has written several books and directed a documentary film." Click here or on the image of the Report below to view the complete report. 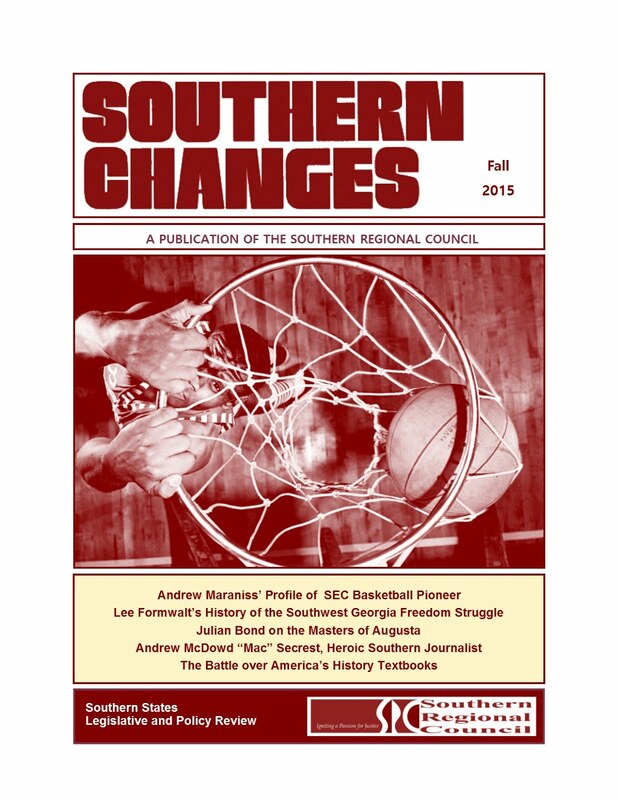 Atlanta- The Southern Regional Council (SRC), a multi-racial organization founded in 1919 to combat racial injustice in the South, recently completed a project, funded by the the Carnegie Corporation of New York, examining coalitions among African American and Latino communities in the South. "I am ecstatic about the meaningful and timely report which we have produced. 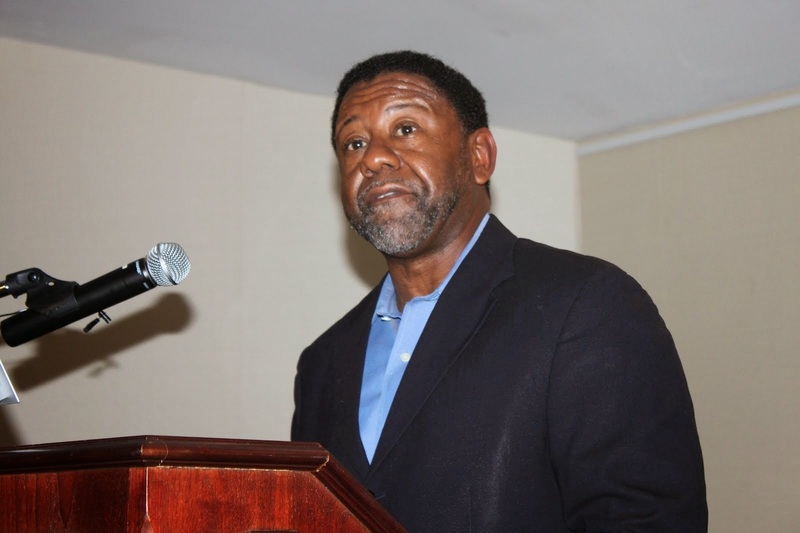 The demographics of this region are changing exponentially and we have a responsibility to illuminate the challenges which this change represents," stated Charles S. Johnson III, President of the SRC board. 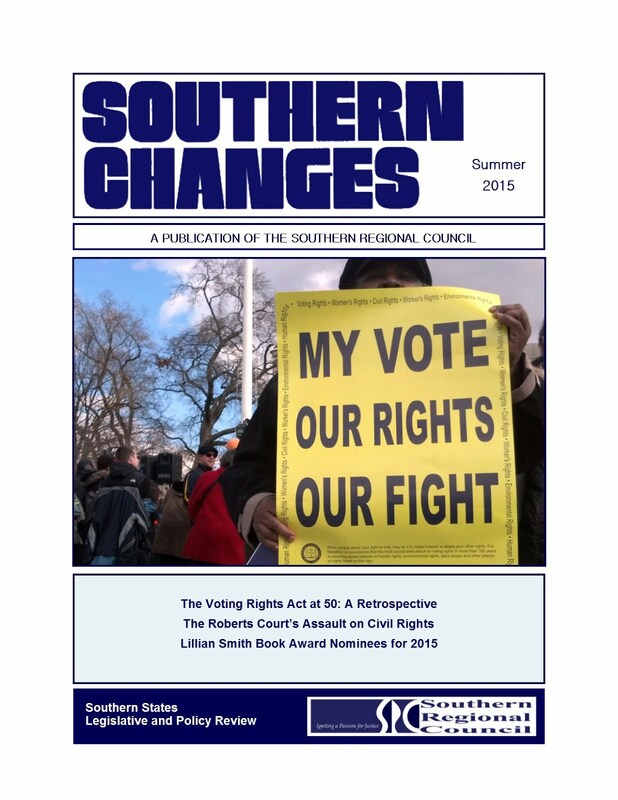 Specifically, SRC report examines coalitions among African Americans an d Latino communities in the Southeast to address issues of mutual importance. The SRC Project Team convened focus groups and individual interviews with key participants in a number of Black/Brown initiative s that led to significant action, i.e. the formation of organizations that actively engaged in a sustained effort to confront political, social or economic inequities and injustices adversely impacting both minority populations. Focus groups were convened in Florida, North Carolina, and North and South Georgia. This project was be led by Joel Alvarado, Policy Director for the Georgia Campaign for Adolescent Pregnancy Prevention. 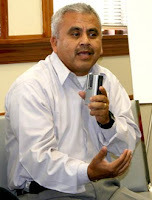 His past work as a Policy Analyst for the Mexican American Legal Defense and Educational Fund, Congressional Aide and current Executive Committee Member for the NAACP Atlanta Branch offered Mr. Alvarado excellent insight as to the complexity and possibility of forging strong Black/Brown relations. He is originally from New York and has lived in Atlanta, Georgia for 17 years. Mr. Alvarado holds a B.A. in History from Morehouse College. The other principal researcher was Dr. Charles Jaret, Professor of Sociology at GSU. His research and teaching interests lie in urban sociology, race/ethnicity, and immigration. Dr. Jaret's research focuses both on i ndividuals' attitudes and behaviors (e.g., racial-ethnic identity; responses to racial-ethnic humor), as well as on larger units and social processes (e.g., connections between metropolitan economic restructuring and economic inequality among racial groups; the process of suburban sprawl). He also studies immigration and recently published a comparison of American attitudes towards immigrants today and in the early 1900s. 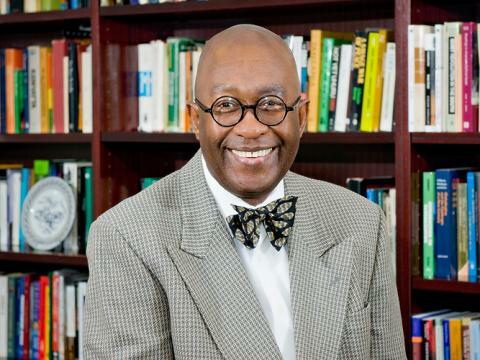 Dr. Jaret earned his Ph.D. in Sociology from the University of Chicago and has been on the faculty of GSU since 1975. The Carnegie Corporation of New York was created in 1911 by Andrew Carnegie to promote the advancement and diffusion of knowledge and understanding. "We are delighted the Carnegie Corporation decided to support our effort to effectuate positive change in the region by examining the issues and identifying viable solutions that will benefit the common good. We are also ecstatic to have Georgia State University as a partner," offered Johnson. 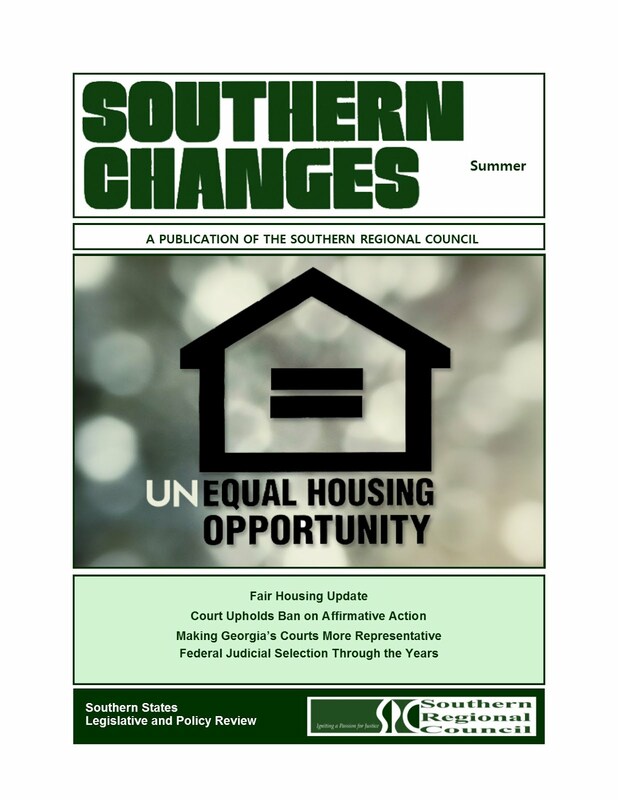 SRC's resea rch shows that African Americans and Latinos in the South often face similar challenges as they seek to achieve their full social and economic potential. Instead of joining forces to achieve goals which they have in common, however, they often see themselves as competing in a “zero-sum-game” for limited social, economic and political opportunities. Standing against this trend are examples in which African-American and Latino communities have come together to work collaboratively around issues of common concern. The increasing presence of Latinos living in the Southeast is one of the most obvious recent demographic changes occurring in this region. Between 2000 and 2007 the Latino population in Georgia and North Carolina grew by over 300,000 and 250,000 people, respectively, while other states in the region, such as Alabama and Kentucky, saw more modest but substantial increases of approximately 40,000. Much of this population increase consists of people moving in from other parts of the U.S. or from Mexico and other parts of Latin America. At the same time, however, the African American population in the Southeast has also been increasing, largely due to the fact that more blacks have been moving to states like Georgia, North Carolina, and Tennessee than are moving away to other states. This has produced a novel situation in many communities in the region – African Americans and Latinos encountering each other in work settings, schools, neighborhoods, and other places. While some interactions have gone smoothly, many have been fraught with misunderstanding, competition, suspicion, hostility, and conflict. Yet observers have noted that many members of both of these groups face some similar handicaps: difficulties in finding higher-paying jobs, discrimination in housing, inadequate educational opportunities, lack of good health care, mistreatment by law enforcement officials. Perceptive individuals within African American and Latino communities in the Southeast have suggested that they have much to gain by working together to solve mutual problems, and they have been attempting to make connections, start dialogues, and act in cooperative ways to transcend the rather deep divisions that separate them. How can this be accomplished? Who is actually working on this? What problems do they encounter, and what successes have they had? What can be learned from their experiences? These are the questions that our research seeks to answer. Towards that goal, we began by identifying groups or organizations in the Southeast that are working to bridge the gap between African Americans and Latinos in pursuit of mutual goals. After locating several we focused on four that generously allowed us to meet with them and hold focus group interviews with them. Together they effectively reflect a wide range of types of communities in the region that have African American and Latino residents: a rural county (Atkinson County, Georgia), a medium-sized city (Greensboro, North Carolina), a modern international city (Miami, Florida), and a suburban county in a sprawling metropolitan area (Cobb County, Georgia). Of these, the first two are organized by ministers and have a religious base, while the latter two are more secular efforts at “black-brown” cooperation. Our report describes each of these groups and their work in detail, and then provides our conclusions and offers a set of nine elements that we think are critically important in creating a successful coalition for these two groups. Roadblocks: Several factors limit the growth prospects of African American-Latino collaborations, but two stand out prominently. One is that many people, within both groups, do not see a need for, or a strategic advantage in, pursuing a coalition. In each focus group the point was made that they often meet resistance from African Americans and Latinos who mistrust or are hostile towards each other, or who prefer working and organizing to solve problems just within their own community. Ultimately, to grow a strong black-brown coalition, more African Americans and Latinos must come to believe that although their interests may be in opposition on some issues, on other important issues they both stand to gain a lot more by working together than by going it alone. A second roadblock is a language barrier – inability to communicate effectively or comfortably with each other hinders their efforts to collaborate. Some groups have dealt with this relatively effectively (by relying on bilingual members or by bringing in Spanish language students or faculty from nearby colleges to help translate at meeting or events, and by printing signs and flyers in English and Spanish). Leadership: The leaders of a black-brown collaboration must understand the situation and community context very well, be able to work effectively with others, have excellent plans of action, and an ability to attract resources. The most successful of these collaborations have put together a leadership development program and also sponsors frequent educational programs that enhance leadership quality. Another useful leadership role is as a “bridge-builder” who encourages or inspires African Americans and Latinos to cross group boundaries and get to know people in the other group. Good leadership also involves an ability to select issues that can be “quick wins,” which build enthusiasm and a sense of efficacy among coalition members. Networks and Resources: The more successful African American-Latino collaborations are well-connected with a network of other regional organizations that serve as allies providing advice, in-kind assistance, and by sending participants to events or programs. Their network also includes foundations that serve as funding sources and national organizations that are working on similar issues that the concern the black-brown collaboration (e.g., labor, housing, health care). We found that collaborations that are rural or relatively new are not so well connected to these networks and could use assistance on this. These are also groups that are in need of other resources as well, which places a great strain on the leaders or key activists. Trust: Co alition-building is a pragmatic and political endeavor, especially when seeking resources, attempting to mobilize community support, and (as is often necessary) putting pressure on public officials. But it is also an emotional process in which fears are confronted, tentative gestures and acts of kindness may be appreciated, rebuffed, or not even recognized, and trust in each other can be gained or lost. Each of the African American-Latino collaborations we studied has worked hard to cultivate a positive emotional atmosphere and sense of trust in each other, for without that nothing else will move forward. For some this emotional work is grounded in their religious or spiritual faith and institutionalized in church activities, while for others it springs up in activities such as multicultural dance or musical programs, the study of each group’s history, or shared “pot-luck” dinners. The essential point is a willingness to cross boundaries, confront fears, and embrace the humanity that each community possesses. Overall, our intention in studying this social phenomenon was not purely “academic." Ideally, we hope it serves as a valuable resource for local community leaders and activists who are confronting similar challenges. The South, as depicted within the annals of history, has been irrevocably changed into a multicultural, multilingual society where strangers have the opportunity to become allies. This possibility of coalition building is not idealism run amok, but a necessity if African Americans and Latinos want to further define their reality within the political process. This document offers all who struggle for freedom, justice and equality a glimpse into what it can be. The individuals interviewed were ordinary people who collectively became extraordinary, not for glory or praise, but to ensure that their families and communities would also partake of the American dream.